It really all began when I realized I needed a business card. So many times, people would ask me for a card and I would have to say that I didn’t have one YET. As I started to design my card, I realized it all really had to start with a logo. The logo had to be mine. I couldn’t use clip art or use something from the internet. Doing that could lead to copyright issues and legal problems that I don’t know enough about! So…I went through my photos and found the photo of a waterlily that I took last summer. It really is one of my favorite photos – it is from a waterlily that was blooming in my pond in my backyard. There could be no copyright issues with that. (The photo is the header for this blog.) 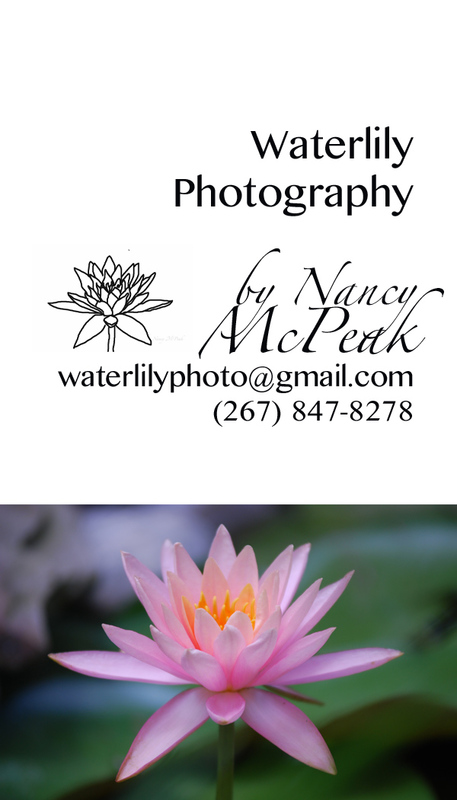 I traced the photo in Photoshop and made a digital image of the waterlily that I used for a watermark and for my first business card. I was pretty happy with it for a first effort. I used my new logo as the inspiration for my website….thanks to my photography friends at Snapshots of a Good Life for all of their guidance, to my friends, Natasha at NTME Photography (www.ntmephotography.com) and Kelley at Pear Tree Photography (www.kelleywenzel.com) for their help as I authored a showitfast.com website. Soon, I began to understand that when you have a website, you really need a Facebook page and a new blog all at the same time and they all have to be linked. Thanks to all of you who showed me so much support and “liked” my Facebook page! Your friendship means the world to me!! 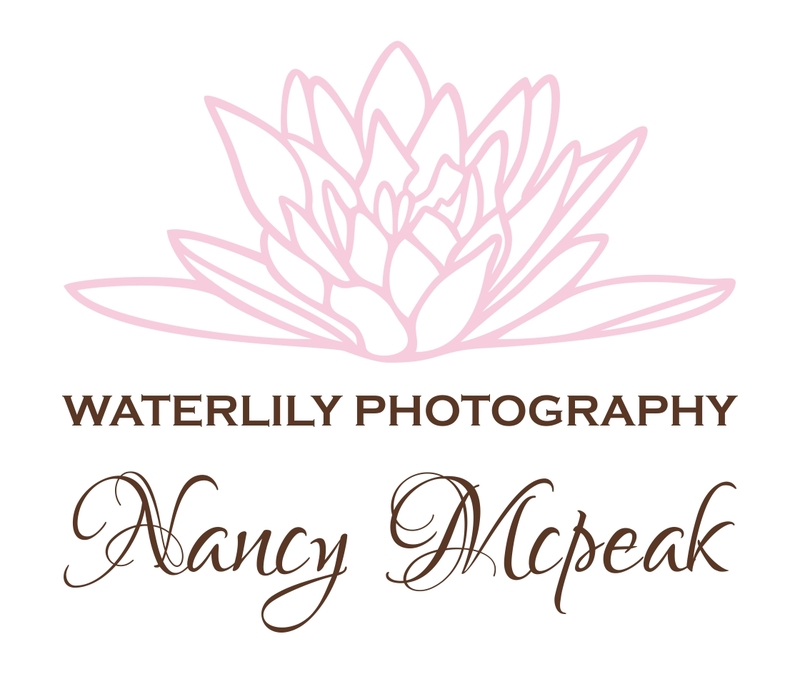 I am so happy to finally show you my website – http://www.waterlilyphotographybynancy.com. A website is dynamic – it will take shape as my business grows. There will be more that I add to it – FAQ’s, locations for shoots, and I will complete the pricing and client pages. I think it is a good start – I feel like it is me – and I am so excited to share it with you. If you click on my logo at the top of the right margin or waterlily website in the border under the waterlily photo, you will be connected to the website. I hope you will let me know what you think. Thanks so much for looking!! This entry was posted in Uncategorized and tagged advertising, arts, business, design, illustration by Nancy McPeak. Bookmark the permalink. Beyond thrilled for you as you enter this new adventure!!! I love your photography!! Your logo is wonderful; I love how personal it is to you. Love it all! Congratulations on launching your dream!